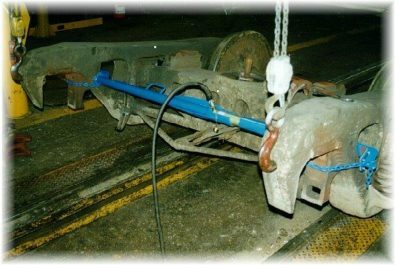 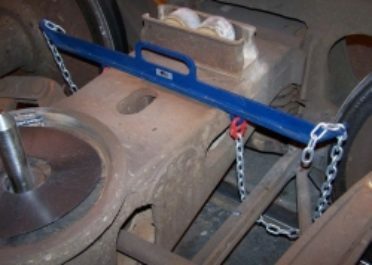 Designed to remove and install freight car truck center pins. 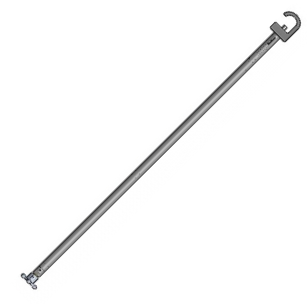 Constructed from alloy aluminum to keep the tool weight to a minimum. 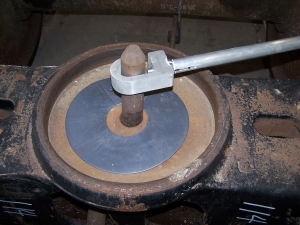 The pass-through design allows the tool to be to be slipped over the center pin while it is still engaged with the bolster and center plate. 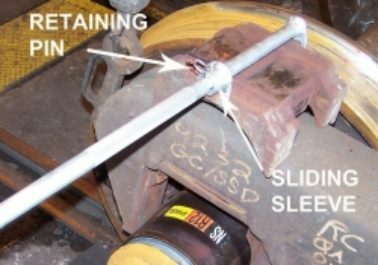 A simple screw type mechanism located at the end of the handle provides a fast and efficient method of securing the center pin.